An artist always challenges themselves, it’s what growing as an artist is all about. Artists that tend to rest on their laurels simply aren’t as productive. Whether it is painting, writing or music this almost always holds true. St. Joseph’s Under The Big Oak Tree is definitely not resting on their laurels though, in addition to being in middle of recording their second full-length album they are also putting together a one of a kind show to coincide with the Halloween season at The Paradox Theatre. The band consists of primary songwriter and multi-instrumentalist Simon Fink who is the driving force behind the extremely literate band. Doug “Sluggo” Ward also writes some music for the group and his primary instrument is the stand-up and electric bass. The two write songs for the sweet vocal stylings of Kristin Hamilton to sing. Their self-titled debut album was released last year and also featured The Motors’ Sean Cleary on guitar and vocals. While Cleary is no longer with the group they say he was one of the things that challenged them to be a better band. They are roughly halfway through the recording of their sophomore effort and focused on producing something even better than their excellent debut. With the band gearing up for the record they also decided to spread their creative wings and put on a truly unique concert experience for Halloween. 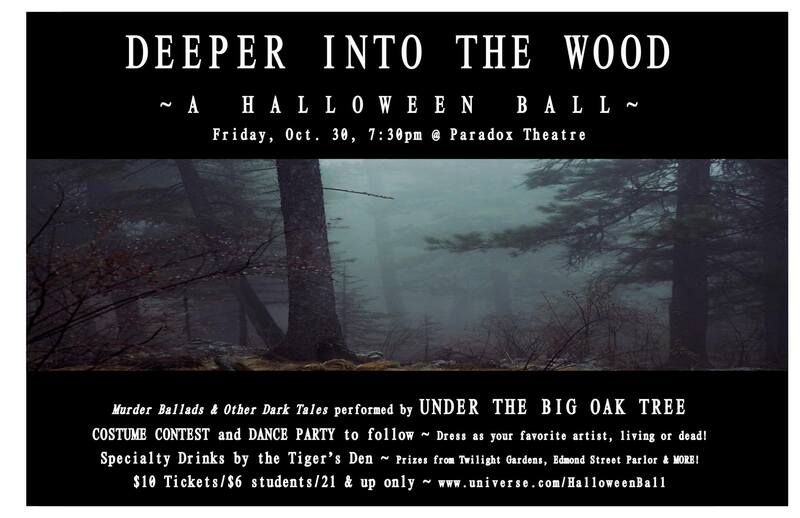 The idea is for a Halloween Ball named “Deeper Into The Wood” after one of Fink’s original compositions. 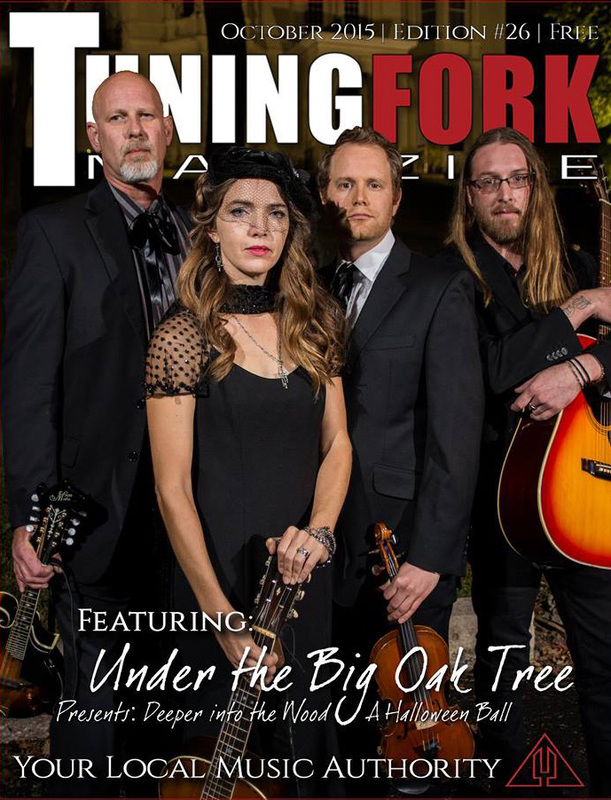 Under The Big Oak Tree will be performing a night of murder ballads and other dark tales with Missouri Homegrown and The Walking Sticks bassist Corey Clark as a special guest. “I think Corey is going to help us dig into the right vibe for the Halloween show.” Fink says. Clark plays a mean mandolin and is an accomplished songwriter who will not only add his touch to Under The Big Oak Tree but they will also back him on some of his songs as well. “Deeper Into The Wood” will take place on October 30th at The Paradox Theatre in downtown St. Joseph and have an early start time of 7:30pm. The concert will be split into two parts by the band and a costume contest and dance party will follow it. The themed costume party challenges you to dress as your favorite artist, living or dead. In true downtown St. Joseph fashion, several businesses are getting involved. The cool new bookstore/bar The Tiger’s Den will be dishing out drinks for the event and the costume contest will be judged by the wonderful people at Edmond Street Parlor. Edmond Street will also donate prizes for the event along with Twilight Gardens offering a prize of gargoyle who looks very worthy of the occasion. The event will be a $10 at the door and $6 with a student ID but you also must be at least 21 years old to attend. The show came together recently but quickly gathered momentum and interest. “We had gone to a murder ballad ball last year and it just sounded like a lot of fun to learn to do the songs.” Fink explains, “We talked to the Paradox people and it turned out they wanted to do a Halloween show of some sort so it just worked out.” The result is sure to be a distinct set of songs that you won’t commonly see elsewhere. “We’re learning all new songs that are murder ballads or ghosts stories.” Fink says, “There are some original songs and some traditional songs and covers.” Some songs will be recognizable like a medley of “Shady Grove” and “In The Pines” the band has worked up and other songs will be heard publicly for the first time. 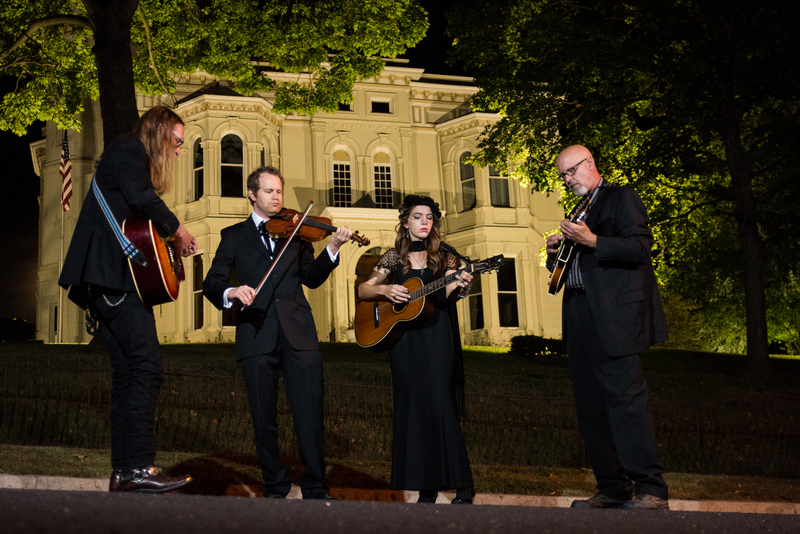 One of the most intriguing songs may be an original tune the band has written about the hanging tree that recently went up in flames along with The First Ward House earlier this year. Another song Fink mentions when previewing the show is a song based on the poem “Luke Havergal” by American poet Edwin Arlington Robinson. The inspirations for this show came from various places and should create an interesting night. The band has enjoyed learning the new songs and looks forward to drawing from this experience for their own recordings in the future. This is really the mark of a collection of great artists. They are very good at their respective crafts but aren’t willing to rest on their laurels to continue to produce their art. This rings true for the band if they are playing with Sean Cleary, Ryan Johnson (who has played some with the group) or for this show and Corey Clark. “The main reason I wanted to play with them is because they are all better than me.” Clark says, “Better songwriter, better singer and better bass player. That’s why I wanted to hang out and play with these guys.” A good artistic circle isn’t so much about competition but is about challenging each other to be better. Under The Big Oak Tree definitely feeds off one another and it is obvious that they will only become a better band because of it. This entry was posted in VOT Editorial and tagged album, bluegrass, Corey Clark, cover story, Deeper Into The Wood, Doug Ward, Halloween, Heather Kirchhoff, Kristin Hamilton, Missouri, Paradox Theatre, Simon Fink, Sluggo, St. Joseph, Tuning Fork Magazine, Under The Big Oak Tree, VOT Cover Story, website. Bookmark the permalink.